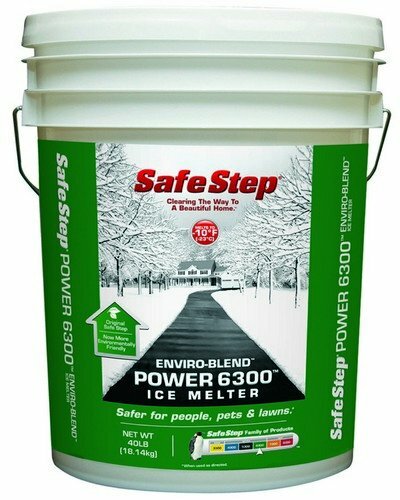 Safe Step 56840 Power 6300 Enviro-Blend Ice Melter melts effectively down to-10 degrees Fahrenheit. It does not harm precious shrubs, grass or vegetation. When used as directed, does not harm carpets, floors, leather or shoes. Non-toxic to children and pets. Does not harm skin. 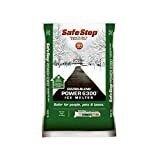 Ice melter is safe to handle.